If you aren’t familiar with pot odds in poker or if you just want a refresher, you’re reading the right article. You are about to learn what pot odds are and how to calculate them step-by-step. After that, we will go over 3 examples of using pot odds in different situations (preflop and postflop). Finally, you will get a handy infographic with pot odds “shortcuts” that will help you make winning decisions at the table. Pot odds represent the ratio between the size of the total pot and the size of the bet facing you. Keep in mind that the size of the total pot includes the bet(s) made in the current round. For example, if there is $2 in the pot and your opponent bets $1, your pot odds are 3 to 1. In other words, you have to pay 1/3rd of the pot in order to have a chance to win the whole pot. Pot odds are the mathematical foundation for calling situations in poker. Without them, we wouldn’t be able to figure out which calls are profitable and which are not. Note: You can also use a ‘:’ to separate the values, such as 3:1. From there, you will want to convert your pot odds into a percentage so you know exactly how much equity your hand needs to profitably call the bet. Let’s go over the quick 3-step process for converting your pot odds into a percentage. Step 1: Calculate the final pot size if you were to call. First, you need to figure out what the pot size would be if you called the bet. In this case, the total pot is $150 and its $50 to call, so the pot would be $200 ($150 total pot + your $50 call) if you call. We’ll refer to this number as the final pot. Step 2: Divide the size of the call by the size of the final pot. In this case, that comes out to 0.25 ($50 call size / $200 final pot size). Step 3: Multiply by 100 to get the percentage. Now, simply multiply that 0.25 by 100 to convert the decimal into a percentage. That’s 25% (0.25 * 100) in this case. This means that, when you call, you need to win more than 25% of the time in order to profit. The next step would be to assess whether your specific hand has at least 25% equity versus your opponent’s range. I’ll show you how to do that in the examples below. NOTE: We’ll be going over cash game examples, but this same process works for tournament hands as well. Suppose you’re playing a $0.50/$1.00, 6-handed online cash game. A player raises to $3 in the cutoff and the action folds to you in the big blind. Your hand is 7♦ 5♦. Let’s use our step-by-step process to figure out if you can profitably call based on your pot odds. Note that the call size is only $2 because you already have $1 invested as the big blind. 0.307 * 100 = 30.7% equity required to call. Step 4: Assess whether your hand has enough equity to call. Now, you have to estimate your opponent’s range and calculate whether your 7♦ 5♦ has at least 30.7% equity against it. If you don’t have access to ranges like the ones in the Upswing Lab, it’s perfectly fine to estimate your opponent’s range of hands based on your intuition. Or you can join the Lab here to gain access to all 259 charts now. 7♦ 5♦ has 37% equity against the cutoff’s range, which means you can call profitably. There’s one more factor in this calculation that’s beyond the scope of this article. It’s called equity realization, and you can learn about it here. Let’s continue with the same hand: the cutoff raises to $3 at $0.50/$1.00 online and you have 7♦ 5♦ in the big blind. Now you know that you have enough equity to call, so you do. The flop comes J♦ 8♣ 2♦. You check to the preflop raiser and he bets $4 into the $6.50 pot. Let’s run through our steps to figure out if you can call this bet profitably. 0.276 * 100 = 27.6% equity required to call. To simplify this calculation, we will focus on your hand and skip estimating your opponent’s range. You have 9 outs to make a flush, which means you will improve to a flush ~18% of the time on the turn (9 diamonds / 47 remaining cards). You have 6 outs to make a pair (~12% chance), which not only may be the best hand, but also allows you to call a bet on the turn should your opponent make one. You have 6 outs to turn a straight draw (~12% chance). which allows you call a bet on the turn should your opponent make one. To add to all of this, your opponent will not always bet on the turn when you miss one of your outs, which means sometimes you will get to see a free river card and an additional 18% chance of hitting your flush. You can see how will we definitely reach our required 27.6% equity that we needed in order to profitably call. Note: Bluff-catching is when you call a bet with a hand that can only beat your opponent’s bluffs. When deciding whether or not to bluff-catch on the river, you always need to take into account your opponent’s range. Suppose you defend your big blind vs. a cutoff raise with 9♣ 7♣. The flop comes 9♦ 8♠ 3♣ and you check-call a bet. The turn is a 2♥ and you check-call a bet again. Finally, the river is the 2♣ and your opponent bets $20 into the $40 pot. To do this, we input your opponent’s range and your hand in an equity calculator, but first we need to estimate the range you’re up against. And his bluffing range is all missed straight draws: QJ, QT, JT, 76s, 75s, 65s, A5s, A4s. Since most poker players under-bluff, however, we’ll cut his number of bluffs in half when we run the calculation. Your 9♣ 7♣ has 47.89% equity against your opponent’s range, which means you can definitely call and show a profit in this situation. If you want to make your life easy at the table, you are better off memorizing this list of pot odds and trying to approximate based on your opponent’s bet size. This way you will be able to focus on other aspects of the hand and make more profitable decisions. Save this to your phone or computer so you always have it handy! Pot odds are you are friends at the poker table. You need to always know what pot odds you are getting if you want to make good calls consistently. Make sure you remember the table from above and use it the next time you’re playing. That’s all for this article! I hope that you enjoyed it and that you’ve found it useful! Please drop any questions or feedback in the comment section down below. If you want to learn about an important concept that’s very related to pot odds, read this article on using implied odds. 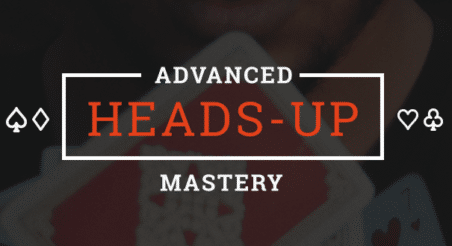 NOTE: Want to become a poker boss in under an hour? Start making profitable plays with confidence when you get the $7 Postflop Game Plan. Learn more now!